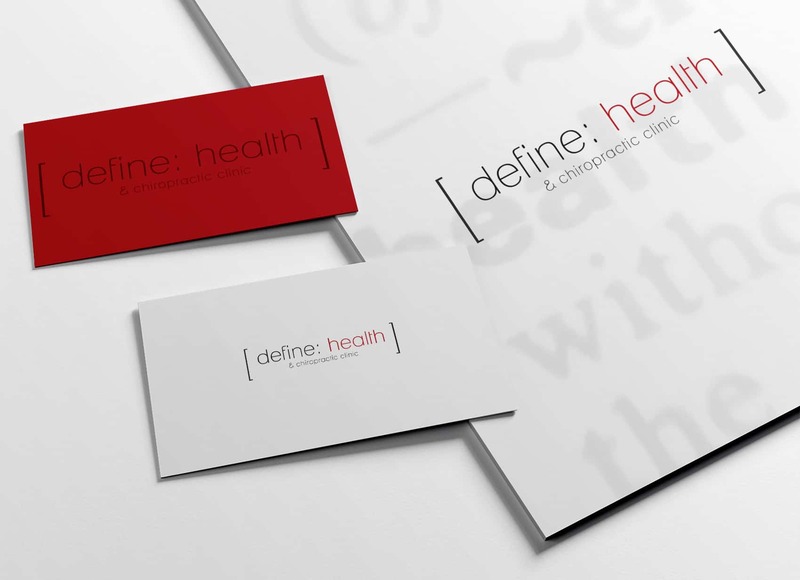 Custom Branding and Logo Design for Define Health & Wellness a Chiropractic and Wellness Practice. We worked closely with Define Health to create a custom logo that used symbols similar to what would be found in a dictionary definition. The client requested a very sophisticated brand, that would attract a young professional clientele. We chose White, with subtle hints of black and red to create this classic brand. The typography that we chose to work with was a very thin and narrow contemporary font.